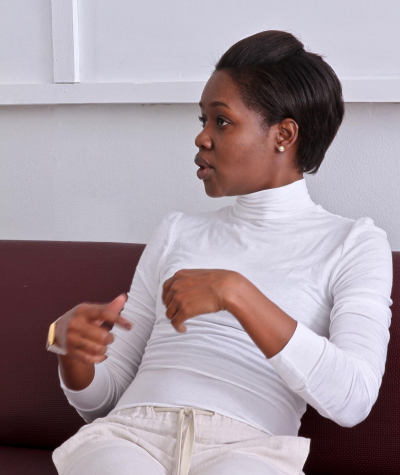 Brenda Sailsman is a graduate of the University of the West Indies Mona, published author and aspiring entrepreneur. She also happens to live in one of the most beautiful places in the Caribbean: Kingston, Jamaica, and is a social media maven. Brenda’s passionate about learning and sharing knowledge, and how those processes fit into our digital world today. If she had her way, extreme poverty worldwide would end, especially with the help of digital tools. Follow Brenda on Twitter, and keep up to date with her articles right here on the Simmer blog. Here we sit down with Brenda and discuss a great NGO, social good, and more all in the context of social platforms such as Twitter, Facebook, Instagram, Snapchat, and more. Follow Brenda on Twitter; Photo courtesy Brenda Sailsman. How do you think social media can do good things for the world on a large scale? Social media is already doing amazing things for the world on a large scale. Social media has revolutionized popular culture, making us one in the way we think, how we dress, the foods we eat. It’s a global phenomenon and although it’s still at an infancy stage, social media has the capacity to maintain a powerful role in global issues through things like hashtag revolutions. What is the most surprising thing about social media for you? I’m surprised by how quickly, in the last 5-10 years, how it has become mainstream, as a staple in many humans’ daily lives. Some things take a while to gain momentum, but with everything so digitized, information is at our fingertips whenever we need it, and social media helps to contextualize that content. What are some of your favorite brands on Instagram? I’m pretty much new to Instagram, so I haven’t really had a chance to discover much about popular brands on that platform. I do however; through working on Simmer; love @Food52. It’s media is so rich and captivating! My other favourite brand is @natgeo because I love discovery and learning new things about the world. What are some of your favorite brands on Twitter? I love @Forbes, @Luv4Social and @simmerwp; we follow each other which is pretty exciting! How do you think social media can best fit into a business’ overall growth strategy? A business must incorporate social media in its overall marketing strategy to get the best of both worlds; i.e. traditional marketing combined with a strong social media strategy to enhance growth. It would be foolish to have just a growth strategy and no platform to launch that strategy from. That’s where social media becomes important. Social media is also a journey, not a destination. You should always be working to create higher quality content and be better at whatever you create for your followers. What are some of your favorite non-profits to give back to on social media? Shauna Fuller Clarke’s BASE Foundation in Jamaica is a non-profit that provides support for women who have suffered, and are currently suffering from a condition called Endometriosis. I support their causes because I suffered from this illness in the past. It’s just a great organization that’s building awareness for this little-known condition and educating women who suffer from it, especially in Jamaica.